Lovely photo for Angelina and Brad Pit but could you imagine how they look like when they were young, same as Nichole Kidman. Found out more……..
Angelina Jolie was just a simple kid from school in 1988. Brad Pitt in 1987 and today. Nice green shirt, I must say. 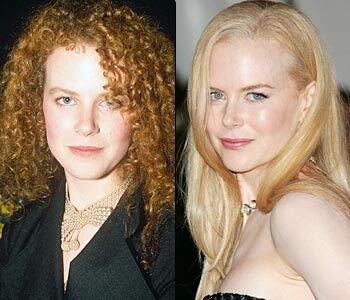 Nicole Kidman in 1989 and today. Her haircut is way better now. Kylie Minogue in 1987. and today. Smells like plastic surgery to me. This entry was posted on Tuesday, February 6th, 2007 at 10:32 pm	and is filed under Funny Junk. You can leave a response, or trackback from your own site. One Response to "Picture of young Angelina Jolie and little Brad Pitt…"